When it comes to garage door repair of Fortville, IN, there are a lot of garage door repair companies to choose from. However, you don’t want to choose the first garage door contractor you find, you want to look for one who is reliable, transparent, and able to provide you with the solutions you need to get your garage door or garage door opener back up and running. Whether your garage door is having difficulties opening or closing properly, producing loud, unusual noises, or has fallen off track — whatever your garage door needs, the team at Garage Door Doctor is available to diagnose the issue and make the necessary repairs and adjustments. Garage Door Doctor is known as one of the best garage door companies in Indianapolis and the surrounding areas. All of our garage door technicians are properly trained and have experience in repairing and servicing just about all types of garage doors and openers. We understand how inconvenient a broken garage door can be, which is why we offer both same-day garage door services and emergency garage door repairs. Additionally, we have some of the most affordable garage door services around — we refuse to be beaten by our competitors. When you are stuck with a faulty garage door in Fortville, call Garage Door Doctor for quick and affordable service. Whatever the issue, our experienced technicians can offer a solution through the following services. A recent nationwide survey revealed that 71 percent of homeowners use their garage door to enter and exit their home every day. However, if you have a broken garage door, this major entry and exit point are taken out of the picture. With constant, everyday use, it is common for your garage door or garage door opener to encounter some issues here or there. Whatever if causing your garage door system to stop working, we can find a solution. Additionally, we offer garage door inspections to ensure that your garage door is in the best working condition. Whether you are building a new home, adding a garage, or are just tired of your old and worn garage door, contact us for a seamless and affordable garage door installation! We carry some of the best garage doors and garage door openers available! The best way to prevent your garage door system from breaking down is by receiving regular garage door maintenance. Don’t risk DIY garage door maintenance, let one of our experienced help provide you with the residential garage door maintenance service needed to ensure your garage door system is in good, working condition. Broken garage door springs can wreak havoc. These springs retain enough tension, hence the alternative name ‘tension springs’, to hold up the full weight of your garage door — when they are improperly unloaded, they can cause grievous injury and damage to your vehicle or other belongings stored inside your garage. Unless you’re a trained professional, you should never attempt to replace garage door springs on your own. Whether it’s a late night, a weekend, or even a holiday, Garage Door Doctor understands that garage doors never break down according to schedule. 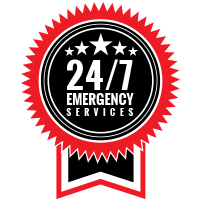 Breakdowns and accidents can happen at any time, and that’s why we offer 24-hour garage door repair. Our technicians are always ready to go. So if a malfunctioning garage door is causing problems, simply give us a call and our team will help you find a solution. Businesses across the state of Indiana rely on commercial garage doors to operate at optimal performance and secure their staff and resources. From warehouses and repair shops to delivery companies and other commercial businesses, they all need the ease and dependability that comes with a large commercial-grade garage door. When your commercial garage door is broken, our garage door experts can arrive on-site to take a look. We also can install commercial doors and openers from some of the leading manufacturers! 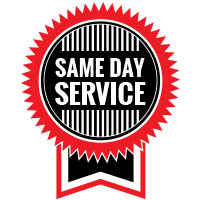 Don’t let a malfunctioning garage door system ruin your day, or even week — contact Garage Door Doctor for same-day service or to receive a hassle-free estimate.